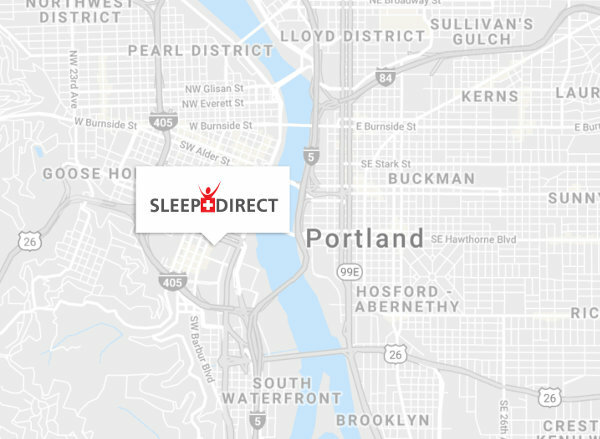 Sleep Direct founder, Dr. Dan Root, is a Board Certified Sleep Physician with decades of expertise diagnosing and treating sleep disorders. A graduate of the Baylor College of Medicine, Dr. Root started his residency in 1991 at Portland’s Oregon Health & Science University (OHSU) and completed his Pulmonary and Critical Care fellowship at Baylor College of Medicine. Continuous positive airway pressure (CPAP) therapy is the safest and most predictably effective treatment for sleep apnea. CPAP therapy works by maintaining an open, obstruction-free airway through the flow of pressurized air. CPAP therapy (also referred to simply as PAP – positive airway pressure therapy) is administered by a CPAP machine, which uses room air and electricity to create pressure that holds the airway open throughout the breathing cycle. Sleep apnea patients utilizing CPAP therapy must perform routine maintenance on their equipment for optimal results. Part of this maintenance regimen includes regularly cleaning parts like CPAP masks, tubing and humidifier. CPAP equipment and parts also require periodic replacement from everyday wear and tear. When it comes to replacing that old or worn out CPAP equipment, patients should err on the side of caution, as using items past their recommended lifespan could restrict the efficacy of your CPAP therapy. The growing awareness of sleep disorders has led many people to seek treatment for obstructive sleep apnea (OSA). The majority of these patients benefit from continuous positive airway pressure (CPAP) therapy – a safe and reliably effective treatment option for OSA. Many potential sleep apnea patients may delay seeking help, fearing that diagnosis and treatment are too invasive, time-consuming or expensive. Patients seeking treatment for sleep apnea may be concerned by costs, however, most health insurance plans do cover CPAP therapy. And while Sleep Direct does not charge or bill any insurance company, many private health insurance plans offer reimbursement for out-of-pocket expenses for the CPAP equipment and supplies available for purchase from our online store. Sleep Apnea is a common sleep disorder in which irregular or interrupted breathing disrupts normal sleep structure. Apnea literally means “without breath;” however, the term refers to the broader concept of a pause or a decrease in breathing that leads to sleep disruption. These disruptions are typically at least 10 seconds in duration, but may be much longer and lead to arousals from sleep to help improve the breathing. The entire process leads to sleep disruption and poor sleep quality as well as other medical consequences. Unfortunately, another barrier between sleep apnea patients and effective treatment is ignorance or misinformation. Popular misconceptions about sleep apnea and CPAP therapy can make people mistakenly believe they aren’t a potential patient, or simply discourage them from seeking the treatment they deserve. So it’s time to set the record straight on some of the most common myths and misconceptions about sleep apnea.